With a recent ruling by Florida's Fifth District Court of Appeal, community associations scored a victory that will provide them with financial relief during the fragile real-estate recovery. It marks a turning point in community associations' ongoing battle against foreclosing lien holders who continually seek protection — as first mortgagees — from the safe-harbor guidelines. 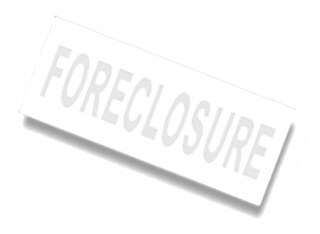 In the event of a foreclosure by the first-mortgage holder, associations are entitled to a minimal payment of delinquent assessments of just 12 months or 1 percent of the mortgage amount, whichever is less, according to the guidelines. The safe-harbor rule has been abused by mortgagees in Florida. In the muddled court system, financial institutions have been wrongly claiming first-mortgagee status, thereby preventing associations from collecting more than the minimum due. Imagine a scenario in which a mortgagee assigned away the rights to the mortgage, and then demanded that the association recognize it as a first mortgagee and demanded a safe-harbor payoff letter. That's what happened in Bermuda Dunes Private Residences v. "Bank of America Corp."
With a systematic process, Bank of America sold the loan to another mortgagee. Then after foreclosure, it claimed first-mortgagee status, when its new role had been to service the loan. In a stern ruling, the court stated: "It is necessarily the entity having rights and obligations under the mortgage at the time of foreclosure, whether as a first mortgagee or as a successor assignee, that is the key factor." Business Law Group, a Tampa firm specializing in condominium law, made compelling arguments that will provide millions of dollars to associations throughout Florida. This ruling has laid a clear path for community associations in Florida to attack confusing chains of mortgage ownership. Now, associations won't have to settle for the minimal safe-harbor payoffs because the onus of proving first-mortgagee status is now on the financial institution. It will allow aggressive associations to collect the full amount of delinquent assessments. Years ago, legislators inserted safe-harbor language into our state's statutes because they wanted to incentivize lenders to make loans, resulting in more homeowners. Financial institutions pushed this law to its limit and beyond. The judiciary has had enough of these abuses and, with this ruling, has taken the first of many steps necessary to rein in the legacy problems of Florida's housing crisis.